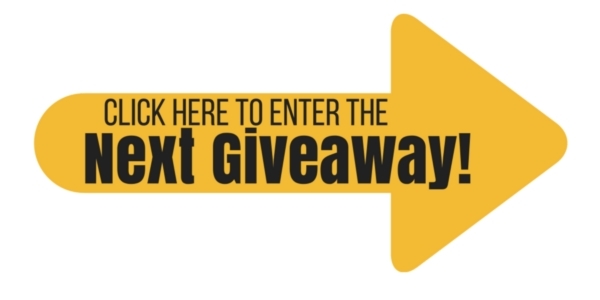 Here’s how it works: Each blog is giving away a different prize, so once you enter here, hop on over to the next blog and enter for the next prize until you have made your way back here! Don’t worry, there’s only 5 prizes, so it’s not too much clicking effort on your part! And of course, you aren’t required to enter every giveaway, but you might as well since you have a chance at winning each one! 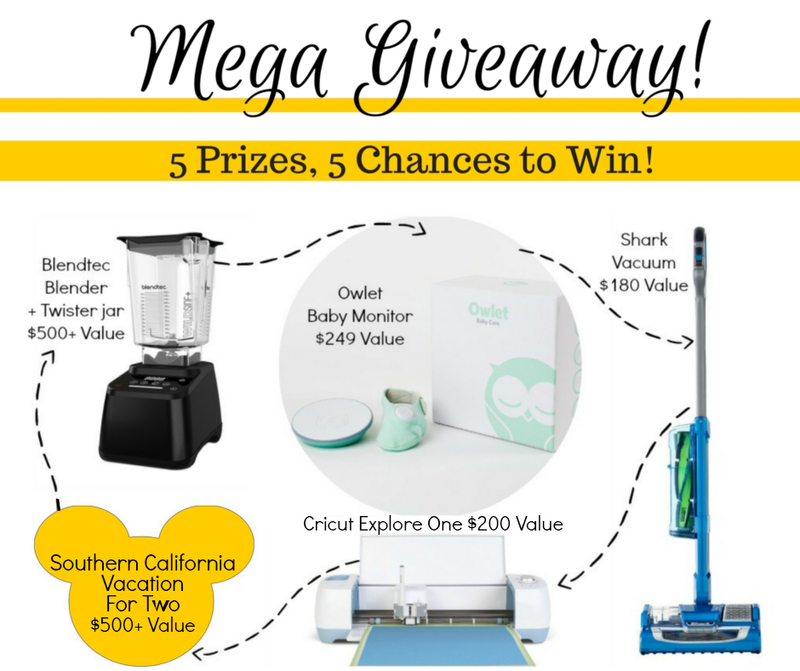 Enter to win at the end of this article, and make sure to enter the next giveaway, for an Owlet Baby Monitor (and a Blendtec after that)! Magic Mondays and Terrific Tuesdays: This is what my Mondays and Tuesdays are called, it doesn’t have to be what YOURS are called, but my point is to find a routine and stick to it. Magic Mondays is the day that I tidy up our whole house. Vacuuming and dusting and general clean-up fall under this category. 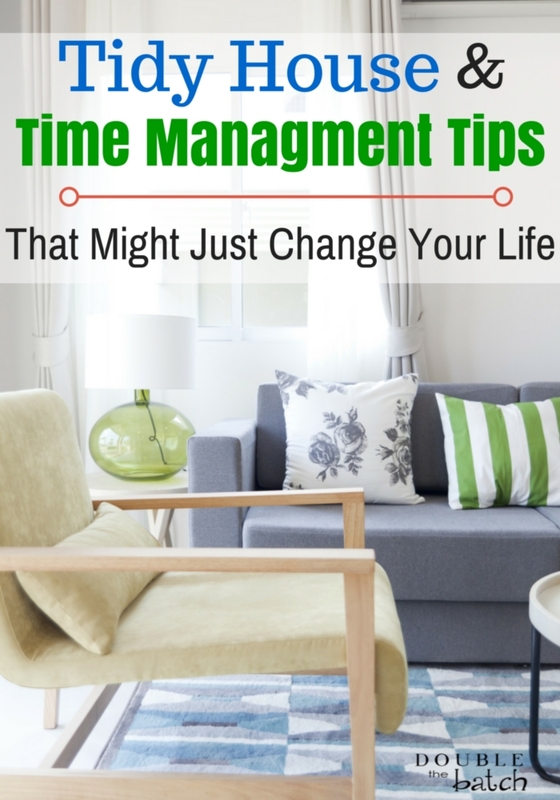 It is so much easier to do these things when you have a specific day and time assigned. Plus, adding pleasant-sounding words like “magic” and “terrific” trick my mind into thinking I’m doing something wonderful. In all reality I am, because tidiness brings peace into my life. Fold it While It’s Hot. That’s right, this is the exact OPPOSITE of dropping it while it’s hot, because the last thing you should be doing is taking clean clothes from the dryer and letting them rest in a basket, or on the floor. As hard as it has been, I made a new rule at my house that I could not remove what was in the dryer unless I was ready to fold it. Sometimes I don’t get through all the loads as quickly as I did prior, but everything ends up folded which is amazing, considering laundry used to be a 7-day process before (1 day washing, 6 days deciding when to fold and put away). Buy In Twos. Never go to the grocery store and buy just one of anything. Unless it’s your first time trying it and you don’t know you will buy again! If you learn to start buying in multiples of at least two, then you eliminate a lot of last-minute grocery store trips when you run out of something! Instead, when you run out of something, pull out the backup, and then put that item on the grocery list so that you know to get two more. You will save so much of your life doing this! Now you only go to the grocery store when it is the day to go to the grocery store. Throw Away Mail Before You Walk in the House. Mail can be one of the biggest forms of clutter. Don’t let the junk even have a chance! Chuck all the unnecessaries into the garbage on your way into the house! Or keep a shredder close to the entrance of your home (not where littles can get it) and shred before it even has a chance to land on the counter!